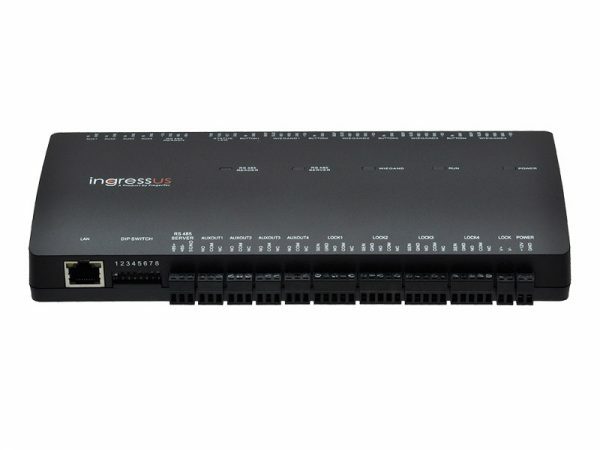 The FingerTec Ingressus series controller supports access control for a 1-door (Ingressus I), 2-doors (Ingressus II) and 4-doors (Ingressus IV) environment. 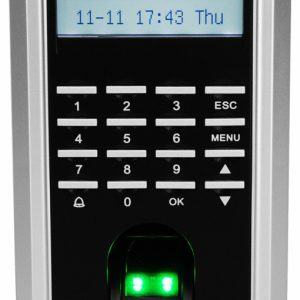 Users verify their identities at the relevant Wiegand terminals or RS485 readers by fingerprint, card, password or any combination during entry and exit. 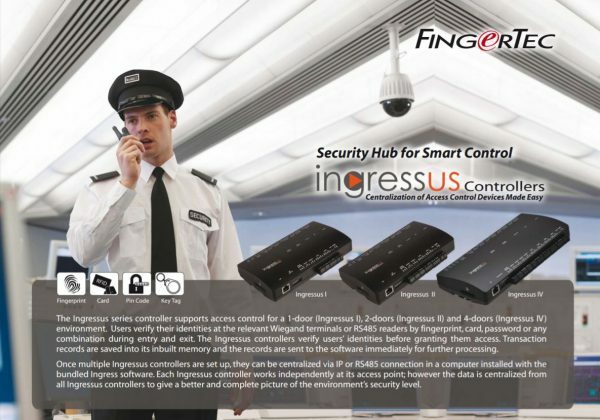 The FingerTec Ingressus controllers verify users’ identities before granting them access. Transaction records are saved into its inbuilt memory and the records are sent to the software immediately for further processing. 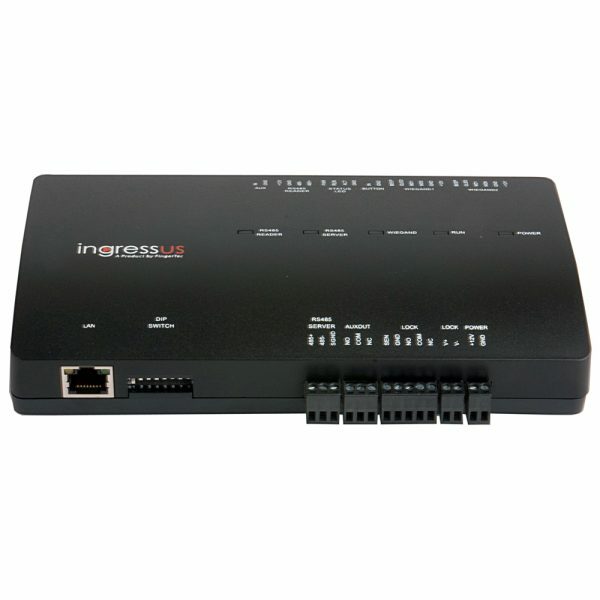 Once multiple FingerTec Ingressus controllers are set up, they can be centralized via IP or RS485 connection in a computer installed with the bundled Ingress software. 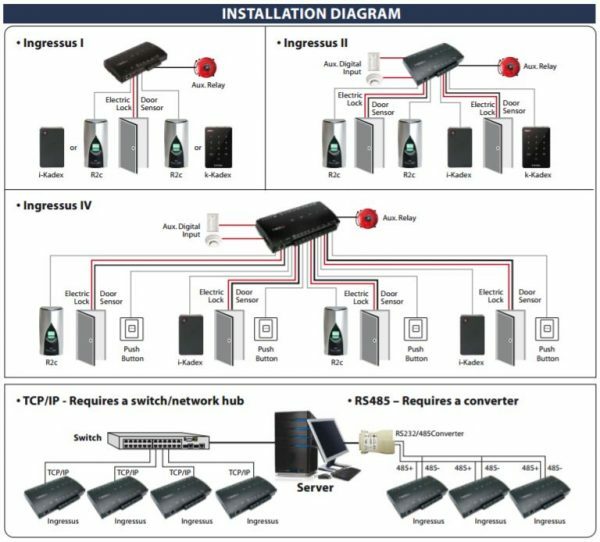 Each FingerTec Ingressus controller works independently at its access point; however the data is centralized from all FingerTec Ingressus controllers to give a better and complete picture of the environment’s security level. 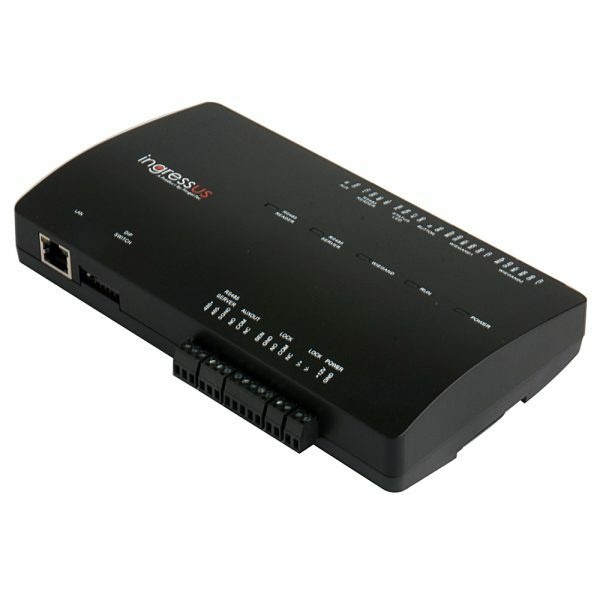 This system comes with a access control software FREE! Plus a whopping 2 year Australian warranty! We are a 100% Aussie company! 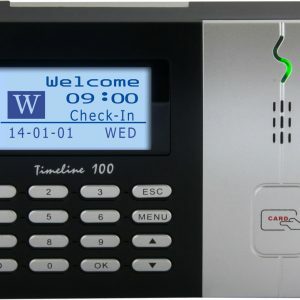 Contact us today to purchase your efficient, affordable, and reliable biometric time attendance time clock by filling in your information below. 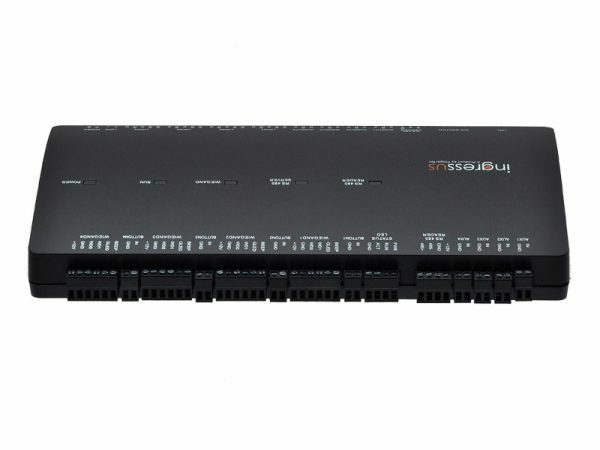 Surge Protection – FingerTec Ingressus provides 3 types of extra protection for your security hardware i.e. Over Current Protection, Over Voltage Protection and Reversal Protection; extending the life-span of your products. 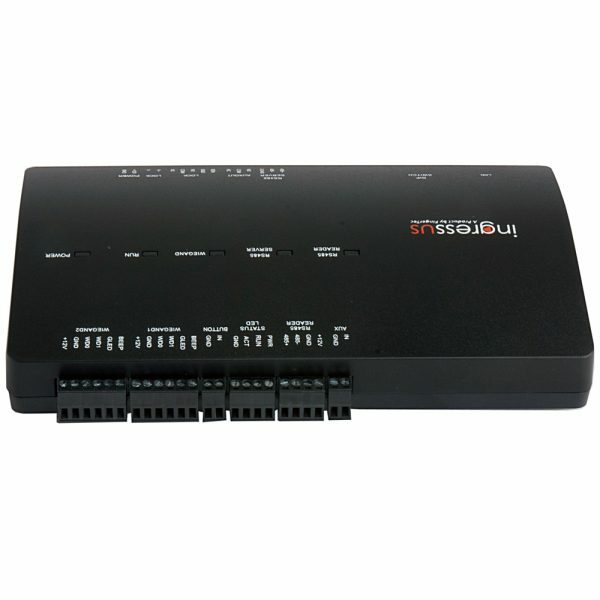 Connect All Security Devices – Link all your security devices under one management, including CCTV, fire alarms, and building automation systems (BAS) for a total security solution. 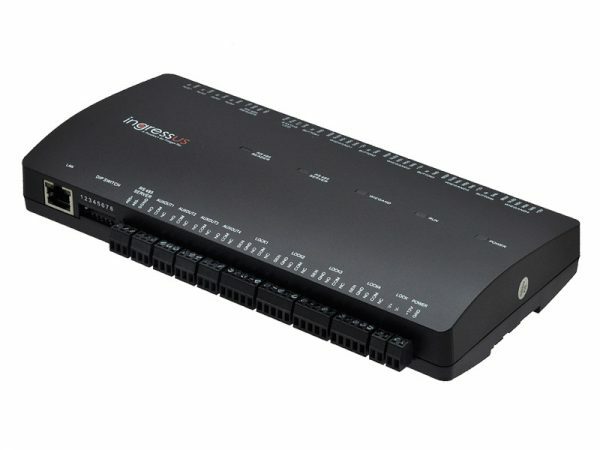 Get Flexibility with Ingressus – FingerTec Ingressus supports several different Wiegand formats as well as various card terminal formats, providing you with flexibility for your security system. 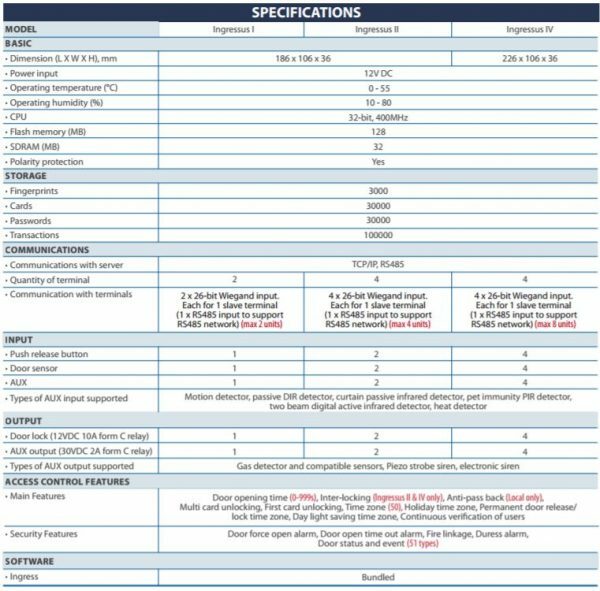 Real-Time Door Status & Event Monitoring – With the real-time door status & event monitoring, door opening and door closing activities can be supervised at all times. 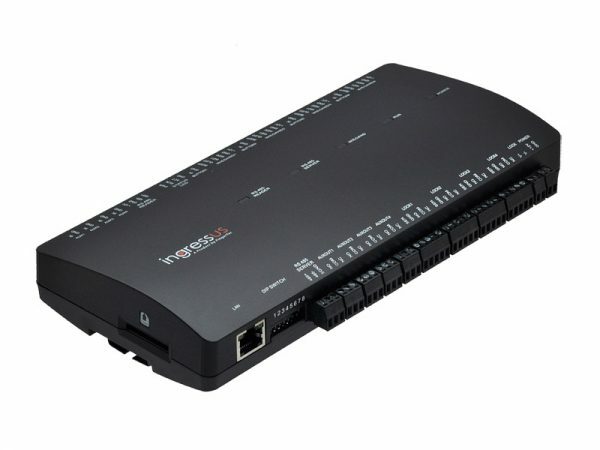 One Stop Verification – FingerTec Ingressus doesn’t only centralize devices, it also allows a centralized verification for an exceptional security no other brands can provide. 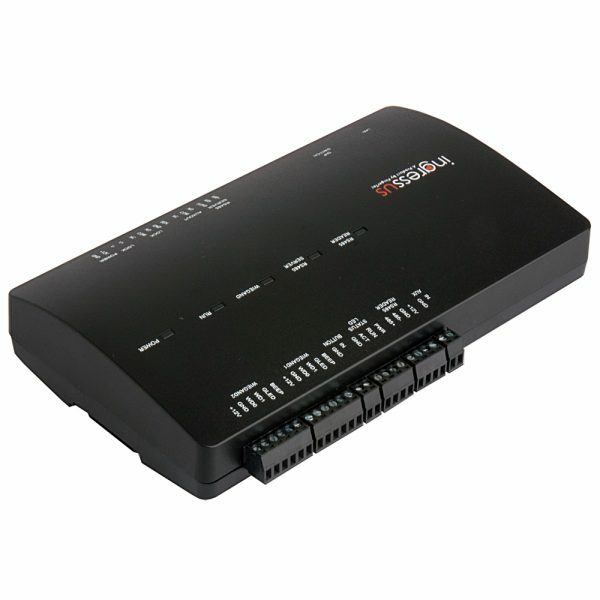 Antipassback Feature for Extra Security – Important in a security system, this feature is to ensure that no single person leaves a premise untraced. Secure Your Premise with the Interlock Function – One door opens, another closes – that’s the logic of interlocking, providing you with tighter security. 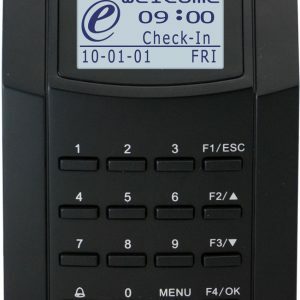 Duress Mode for Emergencies – FingerTec Ingressus is equipped with a duress mode to provide alternatives to users in an emergency. 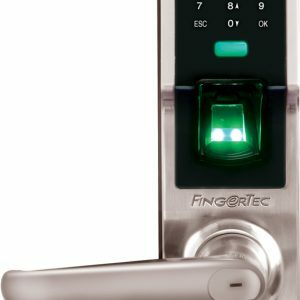 Value for Money – This model was designed to be economical so that you can implement FingerTec solutions at a lower cost. We believe that when it comes to security, there should be no compromise. Contact us today to purchase your efficient, affordable, and reliable biometric access control system by filling in your information in the form on the right.